SynEdge has built and designed next generation architecture in key global positions according to traffic patterns allowing your content to reach your audiences faster. SynEdge developed its architecture to scale with the highest volume traffic spikes, ensuring your content reaches its end user. SynEdge’s user friendly control portal allows businesses to configure content flows and deliveries in an autonomous fashion. 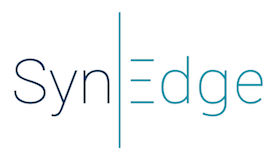 SynEdge’s EdgeMedia product is compatible with all of the industry’s leading players.